Every now and again, in the virtual assistant forums I see discussion threads about whether or not to cold call prospects. Quite honestly, I would never do this, and I think I have better ways of spending my time sourcing out potential clients. That was until today when I read Ashley Ambirge's blog post titled "How to Cold Call Prospects Without Sounding Like a Tool." I value Ashley's in-your-face, and dead honest approach to business and since I've been reading her blogs for a long time now I just had to give this topic attention on my own website. Ashley really helped me realize that as virtual assistants, we CAN cold call prospects without sounding overly salesy (translation: without sounding like an idiot). If you are struggling to find clients and want to use this old tactic I say GO FOR IT, but before you do make sure you read Ashley's blog and listen to the audio she's recorded. It's hysterically funny and will help you craft your phone introduction for your own cold call efforts. Write a list of local businesses in your area that you can phone up and potentially meet in person. That's a good starting point! 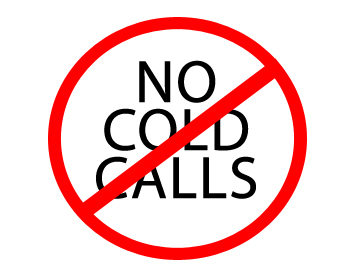 What do you think of cold calling prospects? Have you done it yourself and how did it go? Leave your comments below!! Are you liking this blog post? Tweet it out now to your followers by clicking here.